Next week Nicaraguans will again be going to the polls, this time in Municipal elections. As always, trying to get to the heart of what’s at stake can be a bit time consuming. The elections take place against a background of a change in the law regarding the number of councillors and municipal functions; an opposition which continues to further implode, looking at an election result much worse than in last year’s national elections; and the continued accusations of vote-rigging, which began with the last Municipal elections in 2008. As for the numbers, the law is tripling the number of councillors elected (which were pitifully low to run an administration properly), and introducing gender equality into the councillors elected. There will also be new lines of accountability, which are intended to make the councils more accountable to the electorate, and answerable to ‘direct democracy’. How this will play out remains to be seen. The tensions between ‘representational democracy’ and ‘direct democracy’ are not unique to Nicaragua in Latin America, and how these are handled will decide how effective each council is. Some of these tensions are outlined in a recent article in Envio (see here). The state of the opposition makes it all too easy to predict an increase in the number of Sandinista municipalities come November 4. The only question is how many more will the Sandinistas win, after claiming 109 out of 153 in the 2008 elections. The current figures for the opposition are pitiful. Two recent polls show more than solid support for the FSLN. M&R Consultares (which tends to over-estimate FSLN support), show the Sandinistas on 72%, and the combined oppostion on less than 10%, with remainder don’t know/did not answer. In a poll at the same time CID-Gallup (which tends to over-estimate opposition support) showed the FSLN on 56%, the opposition on 7%, with 35% saying no party. The findings are important for two reasons. First they show that the FSLN looks likely to get at least as many votes as it did in the national elections (63%), if not more. Secondly, the polls have consistently under-cut one of the two main political narratives about Nicaragua which are aired abroad, that Nicaragua is ‘increasingly polarised’. In fact, Nicaragua is becoming increasingly Sandinista, partly to do with the successful governmental programmes, and a lot to do with the lamentable state of the two main opposition parties, the PLI and the PLC (for an analysis of the elections see Tortilla con Sal’s late post here). The ideological battlefield also extends beyond the political parties and civil society. The Catholic Church weighed in in September, with the Bishops Conference calling the FSLN ‘autocratic’. Three days later the Evangelical Co-ordinator called on the electorate to support the FSLN because of its government social and economic programmes (see here for the NicaNet updates for October for fuller details). So it looks likely that the Sandinistas will increase their number of municipalities, and their percentage of the vote. For all the contradictions that exist with the FSLN (and there are many), and the mistakes which are made or are perceived to be made (which, as for all governments, there are quite a few), the reasons for the steadily growing support have been summed up in a recent article by Jorge Capelán , an Argentinian who has worked for many years for a Nicaraguan radio station. His lengthy piece (see Letter to a Friend) is a riposte to the picture painted by foreign coverage of Nicaragua, and is aimed squarely at those living outside the country. Mae dwy o’n cyd-ymgyrchoedd wedi cynhyrchu cylchlythyrau yn ddiweddar. Mae’r cyntaf yn dod o ENCA (Environmental Network for Central America). Mae’n cynnwys sawl erthygl am Nicaragua – y gwrthdaro rhwng Nicaragua a Costa Rica ar eu ffiniau; gwaith gyda crwbanod y môr yn Los Zorros; a newyddion am y prosiect bambŵ yn La Fonseca. Gweler ENCA Medi 2012 am y manylion. Mae cylchlythyr Central America Report newydd ddod allan hefyd. Y tro hwn mae hanner y cylchgrawn yn trafod cydweithfeydd yn Nicaragua ac El Salvador, yn ogystal ag erthygl ar draddodiad Polyn Mai ym Mluefields, ac adolygiad o lyfr A Call to Conscience: the Anti Contra war campaign. Gweler CAR Gaeaf 2012 am y storiau i gyd. Two of our sister campaigns have recently brought out their latest newsletters. 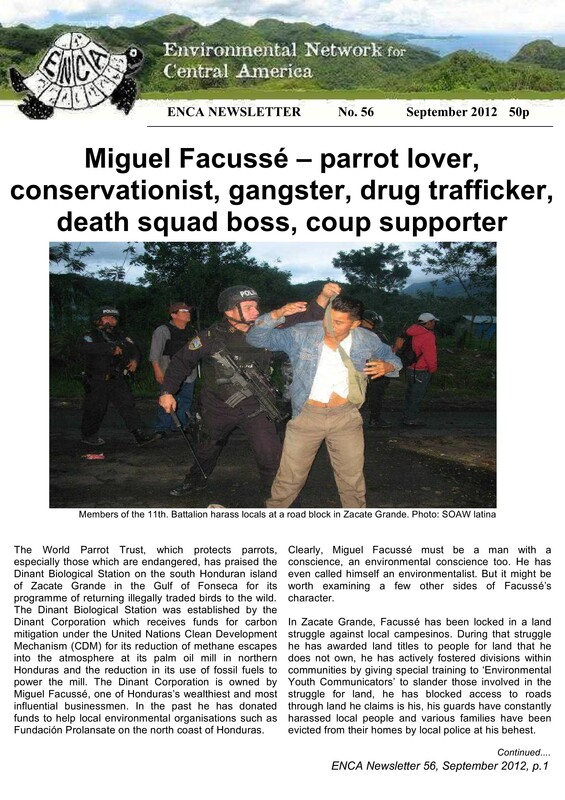 The first comes from ENCA (Environmental Network for Central America).It includes articles about Nicaragua – the border conflict between Nicaragua and Costa Rica; conservation work with turtles in Los Zorros; and news about the bamboo project in La Fonseca. See ENCA Sept 2012 for details. The Central America Report newsletter is also just out. 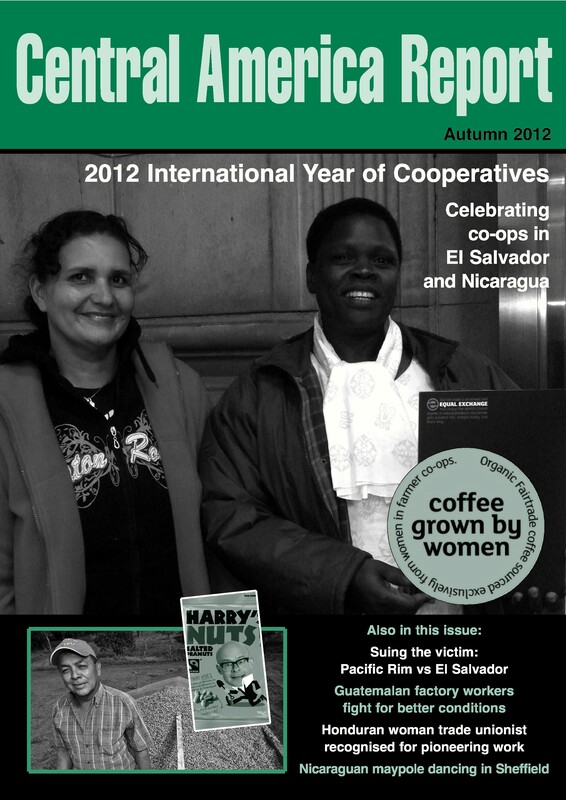 This time half the magazine is given over to discussing co-operatives in Nicaragua and El Salvador. as well as an article on the May Pole tradition in Bluefields, and a review of r A Call to Conscience: the Anti Contra war campaign. See CAR Winter 2012 for all the stories. Mae’r Ymgyrch wedi ymuno a grwpiau America Ladin eraill yng Nghymru i gondemnio’r cyflafan yng Nguatemala, a gofyn am ymateb gan unigolion, mudiadau a llywodraethau. The Campaign has joined with other Latin America groups in Wales to condemn the massacre in Guatemala, and to ask individuals, organisations and governments to respond. The organizations listed below denounce the following:……………..
1 –On the afternoon of Thursday, October 4, the Committee of the 48 Cantons of Totonicapan, a traditional structure considered the legitimate representative of the people, suffered a violent attack by Guatemalan army forces at kilometer 170 of the Inter-American Highway. The army was responding to a demonstration the people were carrying out to show their rejection of constitutional reform, the reform of teachers’ educational career trajectory, and the high cost of electricity. As a result of the attack, seven people have died, at least thirty have been reported wounded, and a number of others are suffering the effects of teargas. 2 –When the attack occurred, the leaders of the 48 Cantons were in Guatemala City, waiting for President Otto Perez Molina to attend a meeting they were having with government representative Miguel Angel Balcarcel. 3 – The use of combined forces (police and army) with firearms at a citizens’ demonstration in which they were exercising universally recognized and nationally guaranteed rights is a show of violence by the state, which is showing itself incapable of acting in a way that corresponds to a democratic culture, within the framework of a lawful state. 4 – The use of soldiers and the use of firearms in evictions or to intervene in demonstrations or public meetings, according to resolutions of the United Nations Committee Against Torture, constitutes torture—a fact for which the State of Guatemala has been repeatedly criticized by the Inter-American Commission on Human Rights. 5 – The authoritarian act and the refusal to sustain an effective dialogue to find real solutions to the population’s problems, the historical abandonment, and the demagogical discourse violates fundamental rights related to the dignity of peoples and persons. 1 – That the Human Rights Ombudsman’s Office investigates the incident thoroughly and issue an immediate resolution that permits the identification of those members of the security forces responsible for human rights violations. 2 – That the Public Ministry initiate immediate criminal proceedings against those responsible for these bloody acts, as well as the arbitrary and violent actions of members of the civilian and military security forces. 6– That the National Institute of the Forensic Sciences (INACIF) conducts autopsies, expert reports on ballistic arms, and an investigation of the scene of the crime, in adherence to proper norms. 7 – That the political, legislative, and private sector authorities cease these authoritarian practices and assume the norms of true democratic rather than demagogic society. 8 – To the communities and leaders of the 48 Cantons of Totonicapán, to the families of the dead, the wounded, and those others affected by these events, we pronounce our profound solidarity and our commitment to accompany you in the search for justice for these painful events.…………..
AMs, and MPs – ask them to make public statements condemning this massacre that threatens a very recently restored democracy, to demand justice for the relatives of those murdered, and to table (or support) a Statement of Opinion (in the National Assembly) or Early Day Motion (in the House of Commons) condemning the massacre and supporting the 48 Cantons of Totonicapán. Type your post code and follow the links. One of our friends in Nicaragua has won a prestigious international award. 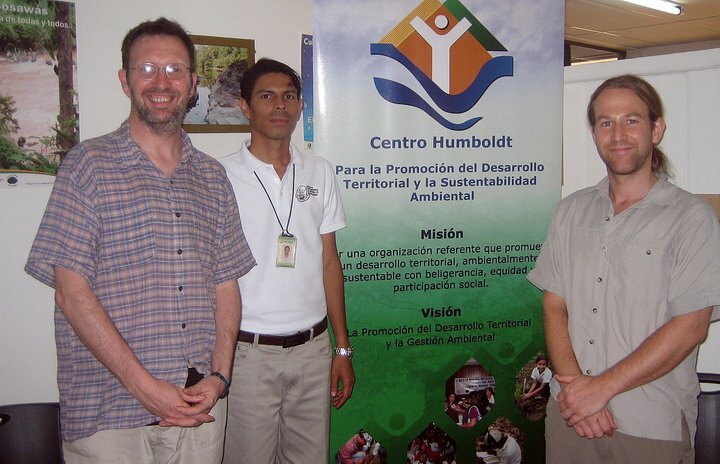 Centro Humboldt (see here for more details) was one of 25 organisations to win the United Nations Development Programme Equator Award. The UNDP gives out the awards every two years. Centro Humboldt received the award for its work in helping communities cope with drought (see here). Over the years Centro Humboldt has met with the Campaign’s delegation members, to discuss climate change, Nicaragua’s forestry, the inter-oceanic canal, food security and land rights. The Campaign hopes to meet with Centro Humboldt again this February, to exchange information about the environmental challenges facing Nicaragua and Wales. Mae un o’n cyfeillion yn Nicaragua wedi ennill gwobr ryngwladol llawn bri. Roedd Centro Humboldt (gweler fan hyn am fwy o fanylion) un o 25 mudiad ar draws y byd i ennill Gwobr Gyhydedd Rhaglen Datblygu’r Cenhedloedd Unedig. Mae’r RDCU yn rhoi’r wobr pob 2 flynedd. 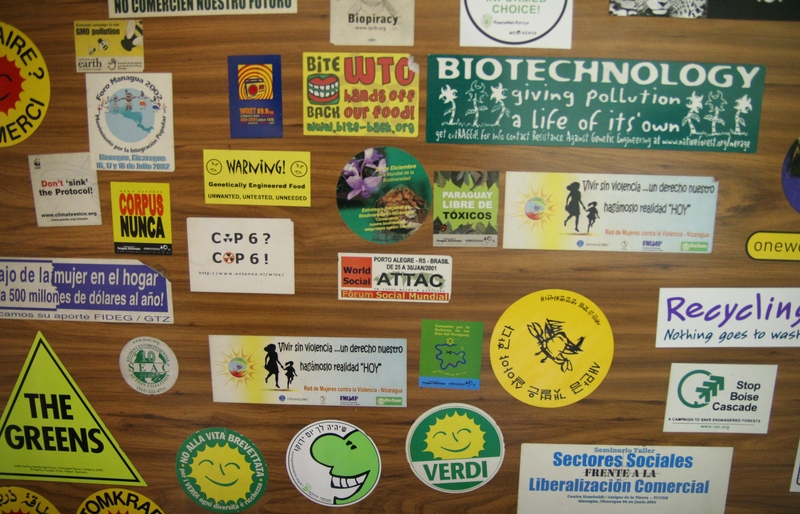 Cafodd Centro Humboldt y wobr am ei waith yn helpu cymunedau i ymdopi gyda sychder (gweler fan hyn). Dros y blynyddoedd mae Centro Humboldt wedi cwrdd ag aelodau dirprwyaethau’r Ymgyrch, i drafod newid hinsawdd, coedwigoedd Nicaragua, y gamlas rhwng-cefnforoedd, diogelwch bwyd a hawliau tir. Bydd yr Ymgyrch yn ymweld â’r Centro Humboldt eto ym mis Chwefror, i gyfwnewid gwybodaeth am y her amgylcheddol sy’n wynebu Nicaragua a Chymru.